Spotify is one of the world’s largest platforms for streaming music. They use algorithms and variables to find the perfect playlist for their customers. In fact, I’m listening to Spotify right now. My personal playlist consists of all genres, which might seem weird to others. What’s crazier is thinking that my personal preference might just be put on a billboard and seen around the world someday. 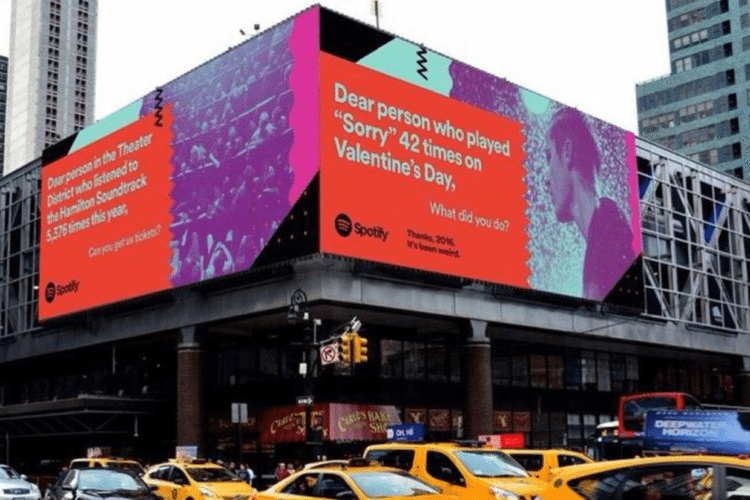 In this new marketing ploy reported by Mashable, Spotify has sifted through its extensive database and finding the quirkiest habits of its listeners. And now they are displaying these findings, along with their personal commentary, on giant billboards throughout the United States, United Kingdom, France and Germany. If you’re worried that Spotify is bashing everyone’s playlist or sharing sensitive data, don’t worry—the messages are all anonymous and pretty benign. 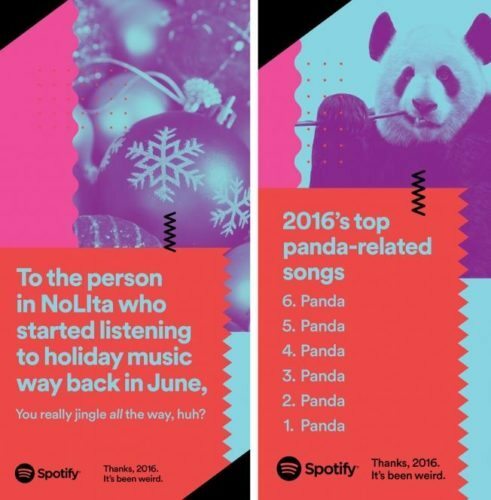 They also noticed how the top 6 panda-related songs streamed on Spotify were all actually the same song: “Panda” by Desiigner. And who knows? Maybe in the future they’ll create a song list that tells a story through only song titles.